I’ve been going on about Amsterdam for what feels like forever (well, it was last year!) I first posed by the canals in December, then down the pretty residential streets last week but now I can tell you all about what I got up to in between! I love a good hipster cafe and indie design shop, but sometimes when I’m looking into a new city, it’s had to find a guide with these sorts of placesin. I hope this colourful will do the ‘research before you take off’ job for you. Scroll on down to find my fave cafes, burger joints (obviously), unique boutiques and cool hotels! I’ve started with the hotels I stayed at as they will be your central starting point. Then, i’ve picked my favourite places by area. Take a day or a half day exploring each of the districts. Getting lost is part of the fun so follow your nose! Off somewhere else in Europe? See all my guides and advice. We stayed in two hotels on our break, Hotel V Nesplein (my personal fave, see photos above) and The Albus Hotel (for a more swanky, modern vibe.) The rooms in Hotel V were large, fun and unique with huge framed mirrors and tree trunk side tables. Breakfast is served by the dish like for dinner and my pancakes went down a treat. Both hotels were located very centrally and a tram/20 min walk from the station. They were both perfect locations to wander around any of the districts. Just grab a bike, tram or use your feet! If I lived in Amsterdam, it’s likely that you’d catch me getting my lunch from Stach Food. A cornershop style convenience shop that blows Pret out of the water, it boasts nutritious lunches that change seasonally and the cutest locally packaged chocolate as well as indie brand treats. Have a chat with the staff, they’re all super friendly and happy to help! Opposite the Nieuwe Hoogstraat branch of Stach sits Anna + Nina. When the girls and I planned our trip to Amsterdam, we created a google doc to paste in places we wanted to visit. It’s no coincidence that we all noted down Anna + Nina, it’s a girls interior heaven! From pastel striped plates to cute notebooks via dainty jewels, get one of the two stores down on your list! Paper Planes cafe was another one of those ‘on our list’ places and it’s location was perfect for our stay at Hotel V (see below!) It was the perfect place for our first meal, not only did we tuck into delicious salads but we even made friends with local food bloggers who were sitting at the long communal wooden bench by the window. Come here to work with your laptop and watch the world go by. If you’re into bold colours, graphic design and clean lines then Droog is for you. A hotel, events company and shop – there’s not much that Droog doesn’t do to shake up the Amsterdam design world. Working with different clients and makers, they put on exhibitions, talks, collaborations and other events. Pop in, grab a coffee and leave feeling sophisticated. If it’s Wednesday then you’re in for a treat for sweet shop PapaBubble show you just how they make their cute and colourful treats. From mini rock candies to lollypops, watch them spin their sugar magic inside their little shop or get involved yourself! It was our first night and we couldn’t work out where we wanted to eat. After checking the Amsterdam foodie blogs (there are some great ones like Story 154) and Tripadvisor we decided that cheese was the only way. Cafe Bern may be an hommage to Switzerland but we didn’t mind, it had all the spirit of Amsterdam. Grab a caraffe of red wine at the bar, chat to the cute waiter, have a giggle and tuck into their secret fondue blend with beef that you cook yourself in garlic butter. You may suffer a tad afterwards but a walk around the canal paths afterwards will sort you right out! 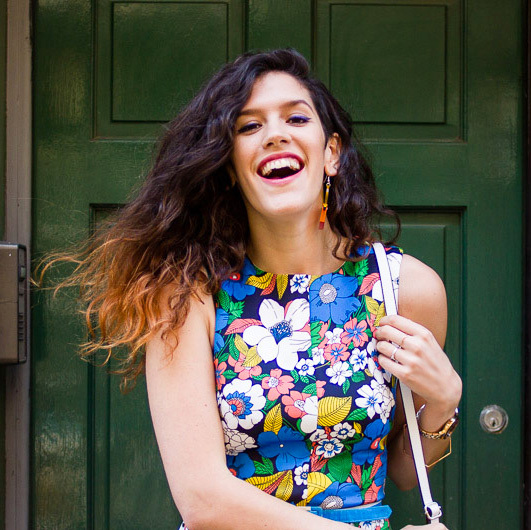 If you’re looking for indie boutiques, head to 9 streets. There are far too many cute places to mention so just meander in and out of each street (being sure to stop at the the cafe below for lunch!) and pop in to wherever takes your fancy! P.s our phone GPS was essentials when navigating these streets! They may all go in straight lines, but the canals are concentric so you actually don’t always know where you are geographically. Make sure you all know where you are if your group is splitting up and invest in internet, it’s worth it, if only just for Instagram! The girls and I popped straight into Ree7, a cute looking cafe in the 9 streets district and we didn’t regret it! Amsterdam gets pretty nippy in winter so running in and ordering a crispy chicken sandwich with a fresh mint tea really hit the spot. The trailing plants, cute tables and mezzanine floor add to the hip vibe. There was only one reason for heading east for me: The famous brewery in a windmill! My housemate told me about Brouwerij’t IJ, the original site of the 1985 brewery, and I made it my mission to give their tasting tray of Amsterdam brewed beers a go. Well… the 9% offering really hit the spot! I’ve heard this is a great visit in summer, though it is packed. Clear your afternoon, head there with mates and have a jolly good time. It’s worth spending a day in De Pijp for all the cute boutiques and eateries. It’s pretty much a case of wander down a cute looking street and pop into anywhere that takes your fancy. My fancy was taken by All the luck in the world. Everything looked straight from Pinterest. The visual merchandising was exquisite. Just, let me buy everything. Come out of All the luck in the world and go opposite into this Amsterdam institution. It’s pretty much 80% pink (check out the toilet!) so you can’t miss it. Two blonde friends started the brand 13 years ago, first creating their own cutely illustrated versions of delft ceramics. It’s since grown massively into seasonal ceramics collections as well as fabrics and stationery. We met a Blond self-confessed obsessive adding to her vast collection, it’s all too kitsch to miss! The hipster in me couldn’t wait to order it’s latte in Hutspot. Another hip creative all-encompassing sort of hang out, Hutspot is primarily a masculine clothing and interiors boutique for an ‘urbanized lifestyle’ but it also hosts an indie barbers, super-cool work space (think cub scouts style tents and long wooden tables with dried plants hanging from the ceiling) cafe (with gooood coffee) and workshop space. It’s another co-working, bring-your-macbook kind of place that Amsterdam does so well. 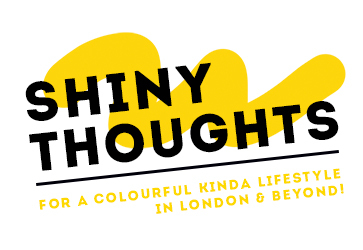 A ShinyThoughts city guide wouldn’t be complete without a mention of a burger joint! Lucky for us, there are loads of hip new burger places popping up in Amsterdam. In De Pijp alone there were at least 3 (The Butcher is popular one) but the green exterior and a recommendation on Instagram was what lured us into Geflipt. (It’s also opposite Hutspot!) Our waitress was the cutest thing since sliced bread and our burgers were the best thing since sliced bread. The ‘Blue’ was served in a novel fashion, the chips were perfectly condiment-tossed and the clipboard menus made for good ‘gram. We were happy. You’ve got to get yourself some Gouda if you’re going to Amsterdam. It’s just the rules. I’m all about the cheese, as is my housemate Kristabel so between us we came back with 5 varieties. Yes the above stand shows just how many types of the Netherlandish legend you can pick up. There’s probably more. Amble around the food stalls in De Pijp and get all the tasting samples you can. Warning: remember you do have to stop tasting at some point, it’s just polite but I know, it is hard. Ready for your trip? Fly to Amsterdam from hundreds of airports with KLM Airlines. Thank you KLM for helping us with our #FiveFlyKLM mission! What a colourful and inspiring guide to a colourful and inspiring city! I would love to go back some day. My boyfriend is actually visiting Amsterdam this spring, and I’ll make sure to share some of these tips with him. Thanks for easing my wanderlust a little! All the best from Oslo! Amsterdam looks so amazing! Gorgeous photos, I wish I could travel there too! I really really want to go to Amsterdam now! Thanks so much for sharing this post ! I am visiting next weekend and I have taken a couple of ideas from your posts. I’ve never been before, so I’m really looking forward to it, but even more so after reading this post and seeing these gorgeous photos. It looks so pretty. So many cool pictures! I wanna go to Amsterdam, like, right now!